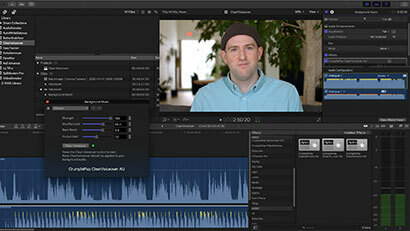 Create clean, crisp and easy to understand voiceovers by removing clashing frequencies from your background music – right inside FCPX, Premiere, Logic X, Garageband and Audition. Muddy sounding audio makes your project look bad and unfinished. Clashing frequencies can exhaust the listener’s ear, turning them away from your project’s message. 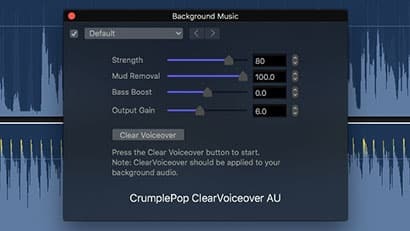 ClearVoiceover automatically removes competing frequencies from your background music, creating voiceovers that are clear, crisp and easy to understand. Take your audio mix to the next level. ClearVoiceover is much more effective and professional than a simple volume adjustment. 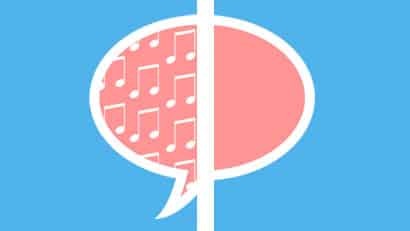 ClearVoiceover uses a professional audio workflow that allows you to maximize the character of your music without sacrificing the clarity of your voiceover. With one click ClearVoiceover automatically removes clashing frequencies from your background track - saving you valuable time by removing the need to painstakingly EQ by hand. You can quickly fine-tune your sound with only four simple sliders - making polished audio possible in a few short steps.